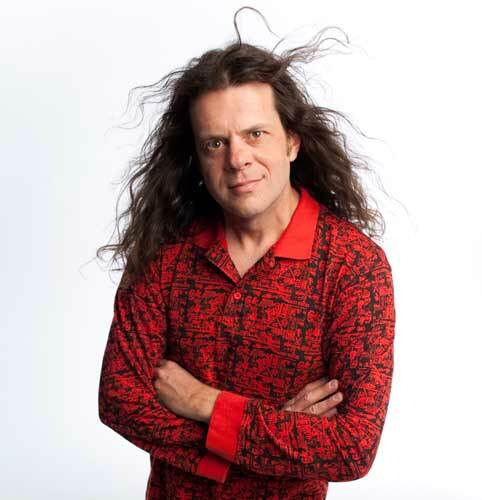 The American stand-up comic is a regular on David Letterman, Conan O’Brien and Jimmy Fallon’s shows, and is famed for his rants against marriage – until he got himself a wife last year. 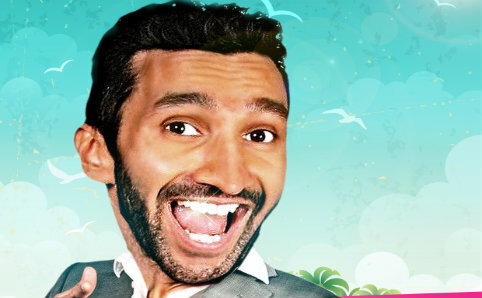 He’s all set to bring his signature, mildly offensive brand of humour to Singapore, but first, he tells Gwen Pew about his life, love and laughs. 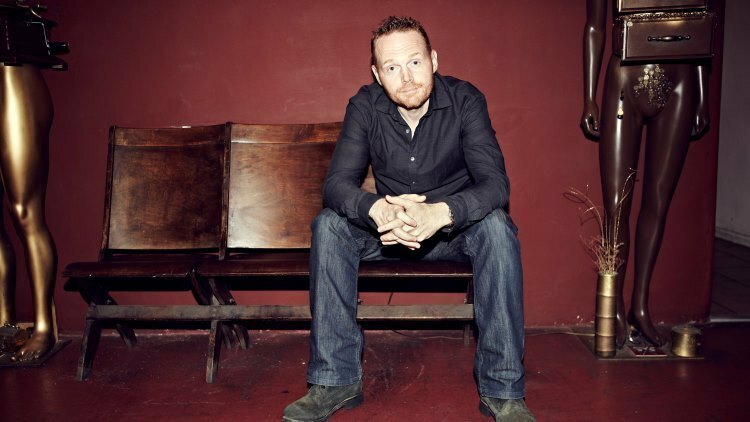 Is the guy we’re seeing onstage the real Bill Burr? The guy you see on stage is how I am when I’m in a bar or hanging out with my friends. I’m not always like that. Right now I’m lying on the couch with my dog watching a movie. You’ve said you don’t research before you talk about certain topics – how much do you wing it? I wing it about 30 percent of the time. On a good night, when the ideas are flowing, it gets up to about 60 percent. But yeah, I don’t know what I’m talking about most of the time. Have you made any joke onstage that you regret after? In 23 years, I’ve only had that happen a couple times. I’m telling jokes. It’s not serious. Do comedians have a line that they shouldn’t cross? As long as you’re being funny, I don’t think there’s any topic or subject that you can’t joke about. It’s been just over a year since your wedding! How’s your life been so far? She hasn’t left me yet so I think it’s going pretty good. And how about women? Do you feel your understanding of them has, well, improved? I understand women enough to know not to answer that question. What’s the best thing about being a comedian? The best thing about being a comedian is lying on the couch with your dog during the middle of the day, watching a movie, while everybody else has to go to work. Convince us in one sentence to see your show. The thrill I’m going to have performing my jokes in Singapore cannot be summed up in one sentence. 10 Dec 2015: It’s 8pm on a Thursday night, and Denise Tan is tired after a long day. She spent the morning and early afternoon hosting Lunchtime Jukebox on Gold 90.5, and rushed over to rehearse for the Dim Sum Dollies’ comeback show straight after that. Comfortably curled up on a sofa at the Dream Academy HQ, however, her bubbly energy immediately resurfaces once we ask how rehearsals were going. 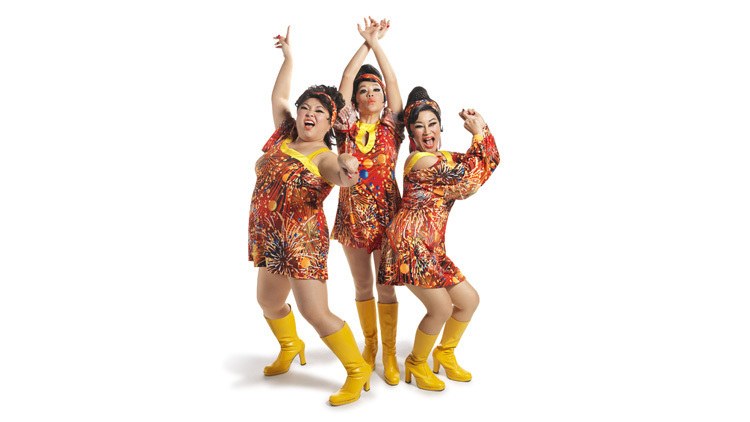 The most recent full Dollies show in 2007 – The History of Singapore Part 1 – took us from the birth of Singapura all the way to 1965, and as we approach our city-state’s 50th birthday next year, it’s only apt that the Dollies now take a look back at how far we’ve come since 1965 in, well, The History of Singapore Part 2. ‘The story pretty much wrote itself as it’s based on facts. But while I don’t want to give away too much, let’s just say it won’t be anything like what you’ll get in your history textbook,’ Denise grins. ‘I’ll give you a hint, though. We’ll be making references to all the government campaigns held throughout the years while dressed as various local fruits, chickens, schoolgirls, mermaids and other characters.’ In fact, there will be so many costume changes that Denise even jokes that ‘the real show is actually happening backstage’. The production also officially marks a new chapter for the Dollies, as it’s the first complete show they’ve staged since their third original member, beloved actress Emma Yong, tragically lost her battle with cancer in 2012. Denise has succeeded her and made several appearances with the group since then, including last year’s edition of Crazy Christmas, stepping into the big shoes Yong left behind with grace and the same wicked sense of humour. Denise is unlikely to take a breather for the remainder of this year, though, as the Dollies’ show will be running until mid- December, and they’ll also be taking part in MediaCorp’s New Year’s Eve concert. 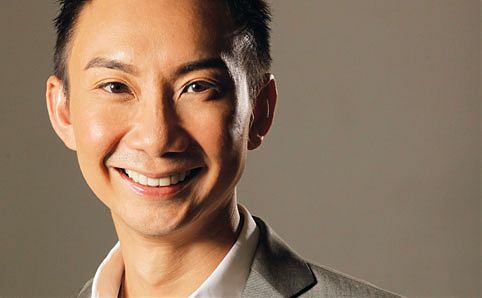 To celebrate his 20th anniversary in showbiz, beloved local actor/comedian Hossan Leong, 43, has decided to put together a show to look back on his journey in the entertainment industry thus far. While the path hasn’t always been easy, he has managed to maintain an infectiously optimistic attitude. Gwen Pew catches up with ‘Singapore Boy’. Hossan Leong, aka ‘Singapore Boy’. Image courtesy of Marcus Mo. The title of the show, Hossanah!, is a tribute to Leong’s grandmother, as that is how she used to pronounce his name. ‘This show is a “thank you concert” dedicated to my family, friends, fans and everyone who’s supported me over the past 20 years,’ he explains. When Leong was six, he asked his parents for a piano. His mum asked if he was sure he’d play it, and then used her entire life savings to buy him a second-hand one, which he used until his teens. Piano remains one of his passions. At 17, Julie Abueva has already performed in musicals and entertained top dignitaries like Barrack Obama. 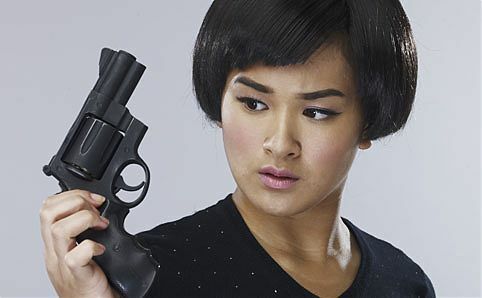 Gwen Pew catches up with the Manila-born, Singapore-raised talent as she prepares for her first non-singing role in the French whodunit play 8 Women. Julia Abueva. Photo courtesy of Sing’Theatre. 18 Mar 2013: She’s only a year away from finishing high school, but the Manila-born, Singapore-raised 17-year-old singing sensation Julia Abueva has already earned quite a few impressive feathers in her hat. After being discovered ten years ago by local singer Cat Ong, Abueva has performed in front of Lee Kuan Yew, Lee Hsien Loong and other foreign heads of state, including US President Obama. She’s also shared the stage with multi-award-winning Filipina songstress Lea Salonga (the singing voice of princess Jasmine inAladdin), and was invited to perform on The Oprah Winfrey Show as one of the most talented kids in the world at the age of 12 – although she had to turn down the opportunity as the episode coincided with her first sold-out solo concert at the Esplanade here in Singapore. Abueva has previously been involved in several local musicals, including Into the Woods and Spring Awakening, but she will be making her debut performance in a non-singing role this month in Sing Theatre’s production of8 Women, the darkly funny whodunit (immortalised in the 2002 French movie starring Isabelle Huppert and Catherine Deneuve) about the murder of a lord in a mansion – and the eight women in the house who might have done the deed. She plays Catherine, the feisty 15-year-old daughter of the murder victim, alongside local theatre veterans such as DBS Life! Theatre Award winner Tan Kheng Hua and Neo Swee Lin – both from the popular TV series Phua Chu Kang Pte Ltd – who play the murdered man’s wife and mother-in-law respectively.